Arlington, VA, 22 March 2016—The National Genealogical Society (NGS) is offering college and graduate students drastically discounted rates for its 2016 Family History Conference: Exploring the Centuries: Footprints in Time, 4–7 May 2016 in Fort Lauderdale, Florida. Qualifying students can register for all four days of the conference for $60, or $50 if they are members of NGS—a $215 and $190 savings, respectively. To qualify, students must submit a letter on college or university letterhead signed by the dean or a department chair confirming his/her current admittance, good standing, and full-time status in an undergraduate or graduate degree-seeking program at a regionally accredited institution of higher learning. overviews of repositories, including libraries, archives, newspapers, military, civil, and religious records, online resources, etc. as well as lectures that focus on African-American, Cuban, Jewish, French, Scots-Irish, and other ancestors; Florida’s history and its people, and much, much more. 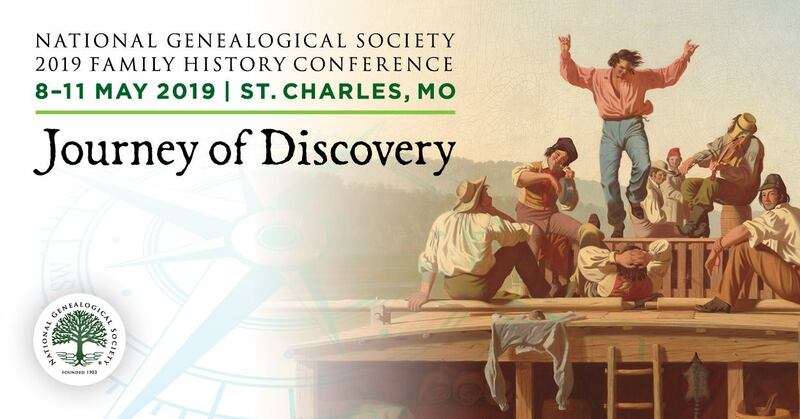 The conference also offers students the chance to discover how they might incorporate genealogical methods into their studies and, in turn, how they might apply knowledge from their fields of study to genealogy. 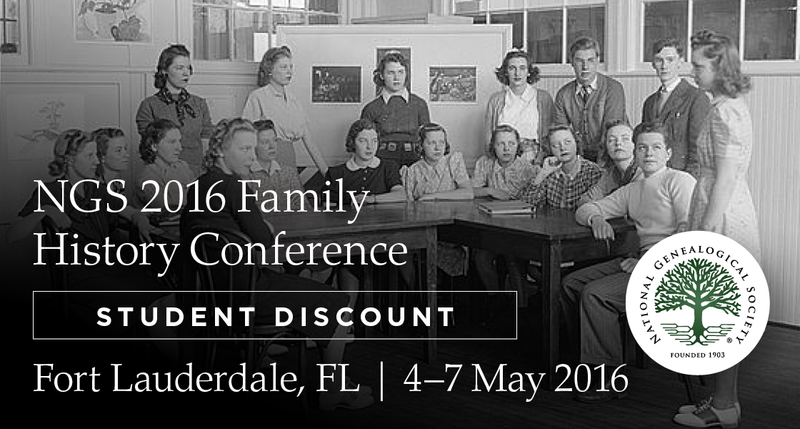 To register, students should download the Conference’s Student Registration Form and follow the directions provided on the NGS website at http://conference.ngsgenealogy.org/student-rate/. The student discount will not apply if a student registers directly through the Conference website. For more information about the Conference’s program, go to http://conference.ngsgenealogy.org/program/http://members.ngsgenealogy.org/Conferences/2012Program.cfm and the PDF brochure at http://conference.ngsgenealogy.org/wp-content/uploads/2015/11/2016-Registration-Brochure.pdf. The brochure offers information about sessions, tours, pre-conference events, on-site registration, and details for hotel registration. Founded in 1903, the National Genealogical Society is dedicated to genealogical education, the highest standards of research, and the preservation of genealogical records. The Arlington, Virginia, based nonprofit is the premier national society for everyone, from the beginner to the most advanced family historian, seeking excellence in publications, educational offerings, and guidance in research. It also offers many opportunities to interact with other genealogists.